When Nathan and I were first married he was shocked by my high maintenance bedtime routine. I remember him being amused by my peculiar night-time bedtime rituals, my opinions about beds and sheets, and so on. I remember him saying, “Wow, I married a sleep expert”. Well, a sleep expert I am not, but I would certainly put myself in the category of a sleep diva. Over for the first 18 months after Knox was born, sleep was a rare thing. We slept, but probably in no more than two-hour increments. It was just about a month or two ago that I finally bit the bullet and had a few nights of baby crying in an effort to get more sleep. Knox was to the point of waking up every 1 to 2 hours max, and I felt like a zombie most days. Once I got Knox on the sleep train, I still was having trouble sleeping soundly. I had become so accustomed to sleeping in such short stints that my body had to be re-trained to sleep any longer than 1 hour before waking up. In order to do this, I returned to my roots…to my sleep diva ways. I finally am feeling rested again, and I thought it may be fun to share some of what works for me for a good night’s rest. The bedding is key for me. I’ve had a lot of good (and bad) sheet sets through the years, and I’ve found that I’ve become a loyalist to Ralph Lauren Bedding. Well, not 100%, but everything that touches my skin, at least. So that means my blankets and sheets. It’s expensive, but I never have paid full price for it. Most all of my RL bedding has come from Marshalls, Home Goods, or sale clearance at Macy’s, etc. If you find it on sale, it’s worth it. Not all bedding is created equal. Just because Sam’s club or the kiosk in the mall is selling 4,000 thread count Egyptian-spun cotton does not mean that it is good, comfortable, or going to last (well, it might, but I have not always found that to be a good judge of sheet quality). In this case, I think a brand makes a difference. And I’ve found RL to last a long time, wash well, and be extra soft from day one. I’m sure there are other great sheets out there as well, but you can’t go wrong with RL. Now this is something that isn’t universally he same for every person. What is comfy to me may not be comfy to you. For me, I like a firm foundation with cushion on top. When our mattress started to lose some of it’s pillow-top loft, we went mattress shopping. And we found we were attracted to a firm bed with a lot of cush on top. But we also were attracted to $2000 matresses. Which wasn’t really what we wanted to spend money on right now. I purchased a Fieldcrest memory foam topper from Target on a whim to see if it would make a difference. Oh my goodness. We knew after one night that it was a keeper. No more sore shoulders! 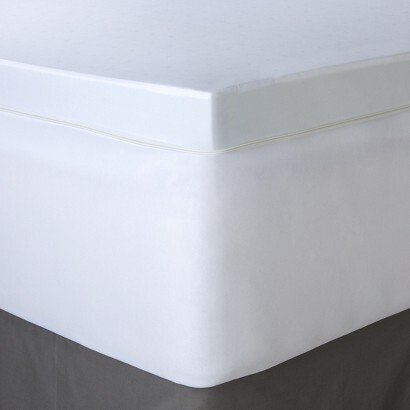 It comes with a cover so that you put it over your mattress, just like a fitted sheet. I don’t remember it having an awful odor, like some reports I’ve read on memory foam, and the cover is pretty nice. For the price, I would recommend! Beats a new mattress. I told you I was a diva. No, in all truth, there are major health benefits to sleeping in complete darkness. Don’t believe me? Check out this article on the Sleep Foundation’s website. A major component of your body’s ability to sleep is light regulation. I’ve even read that too much light overnight can lead to fertility issues! 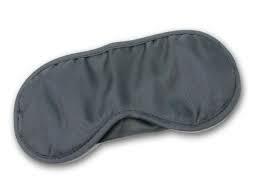 So, now that you are armed with this knowledge, you can proudly wear a sleep mask to bed! I have picked all of mine up at major discount retailers, nothing special, and have paid no more than $5 for one. I’m not saying I get an A+ grade in this category, but no laptops or tablets, no phones, no TV in bed will equal a better night’s sleep. Don’t believe me? If you have any sort of sleep trouble, try this and get back to me. You’ll be surprised. I’ve read study after study that has proven that looking at electronic screens keep your eyes open and prevent you from feeling sleepy (prevent melatonin from kicking in). After I got off of the 18 months of crazy sleep with Knox, I knew I was going to need extra help relaxing at night. 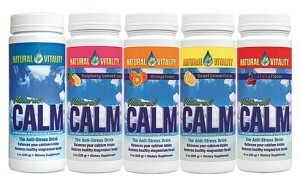 I started taking Natural Vitality’s Natural Calm. I’m not sure if it’s really working or just the placebo effect, but I am sleeping much more soundly. You don’t have to take much, so a container will last a long time. It can help with muscle fatigue (including RLS), stress, not to mention a way to add calcium/magnesium to your diet. Generally, I don’t take supplements and prefer to eat healthy foods that will (hopefully) provide a balanced diet and give me the supplements I need, but I figure extra calcium can’t hurt!!! The Mr. is probably reading this right now, thinking, “what? she never makes the bed!!??”. I’ll admit, I’m about 50/50 with bed making. But I know when I do I feel better and there’s nothing that feels better than slipping into neatly made sheets. I do typically wash all the linens once a week, and that first night in those clean sheets feels like heaven! This photo on my Instagram feed is proof that I do occasionally make my bed!! If you still suffer from insomnia, I’ve found reading real books with my headlamp or reading light helps my eyes get so tired that I can’t help but go to sleep. 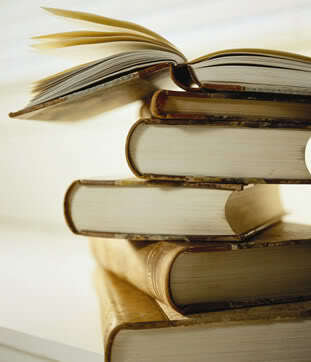 I do pretty well at falling asleep with my Kindle Fire instead of books, but real books always work best. There are also the things you’ve probably already heard a million times, like don’t drink caffeine too late in the day and exercise daily. I’ve also found that keeping a normal routine helps, like waking up at the same time daily. This is easier said than done if you have little ones. Lastly, I sleep much better if I’m freshly showered and my teeth are well-brushed and flossed. Ok, there you have it. Am I a Diva? A bit OCD? Totally Insane? What are your “must-haves” for a good night’s rest? Not insane or crazy. Diva? Maybe. 😉 Sounds like you conquered! 🙂 I don’t have any tricks, because, don’t hate me, I have trouble staying away for more than 5 minutes after my head hits the pillow most nights.